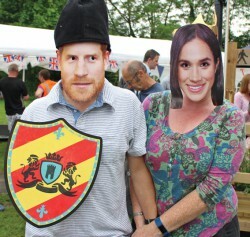 Taking place a week after the Royal Wedding, this year’s Alvechurch Picnic in the Park was themed around Princes and Princesses – and even ‘Harry’ and ‘Meghan’ (below) popped in to share the fun! 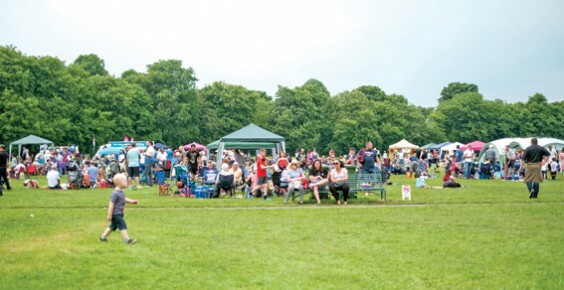 Despite the thunder rumbling around, the rain stayed away, and huge numbers of picnic-goers enjoyed a day of family fun and entertainment on The Meadows – including the Dog Show, the Go-Kart Challenge, live music from community groups, and stalls selling refreshments and promoting local businesses and organisations. At 5pm, the party moved over to the cricket club for the evening session of more music, food and drink.